I am very happy to have met you. I hope that through the favors of the Blessed Beauty you shall become the instruments for the glorification of the divine Cause and the spread of the Word of God so that this city may take precedence over all the other cities of America. As this city is the capital of America, so shall it, God willing, become the center of divine signs. When you arise to teach the Cause of God it will soon be firmly established and will spread because this city has capacity, as there is resistance and some ministers are opposing the Cause. It has been established by experience that when the cry of opposition is raised by leaders of religion the Cause of God gains strength. I always beg assistance for you and my heart is ever with you. You must trust in the favors of the Blessed Beauty which can change a gnat into a phoenix, a drop into an ocean, a stone into a diamond and an atom into a world-illuminating sun. You must not look to your own capacities but to the bounties of the Abhá Kingdom. In the afternoon `Abdu'l-Bahá took a stroll along the boulevard and remarked that `The city of Washington is better planned and laid out than the other cities of America.' In His view the plan of this city was very pleasing because in other cities the buildings were too high and the population too congested. The buildings in Washington were mostly of four to five stories and its boulevards straight, well-proportioned and exquisitely landscaped. Each house has a front yard with flowers and bushes so that in the springtime the entire city becomes like a beautiful garden. All of the squares there have beautiful parks and gardens. In contrast, some of the streets and boulevards of New York and Chicago, with their tall buildings looming like steep mountain peaks, seem like narrow gorges or deep mountain passes and the crowd of humanity like the files of an army. It is difficult to pass through some of those streets either on foot or in a vehicle. To resume. 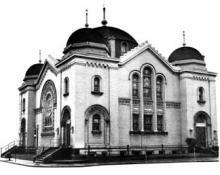 The Master's address at the Jewish synagogue in Washington created a commotion among the listeners and the force of His argument caused the hearts of many to throb. On His arrival He said: I shall repeat the same subjects I spoke on in the Jewish synagogue of San Francisco, and I shall illustrate more clearly the evidences to prove the reality of Christ and the strength and truth of Islam. It is therefore not necessary to repeat them here. Such was the force of His explanations that both friends and seekers felt that some might take exception and object. `If the Jews will not speak,' they said, `the Christians, at least, will not remain silent.' Some of the Jews sitting near the pulpit actually made signs to the interpreter that the time was over. But the Master ignored this and went on to give detailed, decisive proofs and plain arguments to prove the truth of Christianity and Islam. In brief, the firmness and courage of `Abdu'l-Bahá and the force of His argument were noted by everyone both inside and outside the synagogue." Don't you love the description of causing the hearts to throb? Agnes has her own spin on the day: She writes that He came for luncheon, and there were 8 of them at her table. Then, she urged Him to rest, but he remembered an engagement and went off, returning in time for a private interview with a "colored clergyman." At 4:30 there was the usual talk, and He spoke on evolution. Then at 5:30 there were more people who gathered, and He spoke about the Balkan situation and other things. Well, there's a teaching example for us! in 1951, the building was sold to Turner Memorial A.M.E. Church, whose members worshipped in it for half a century before moving to a new sanctuary in Maryland. 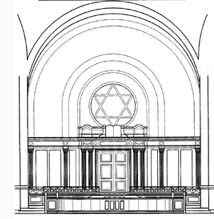 Three local Jewish developerspurchased the building in late 2002 and undertook its restoration and renovation in order to return it to use by the Washington community. "Sixth & I is a non-denominational, non-membership, non-traditional synagogue that hosts outstanding programming and dialogue opportunities for Washingtonians."